Do you know that I am the leader of the new dispensation here in Masvingo and I say ichi chinhu chedu chatakaita (this is our thing that we did). 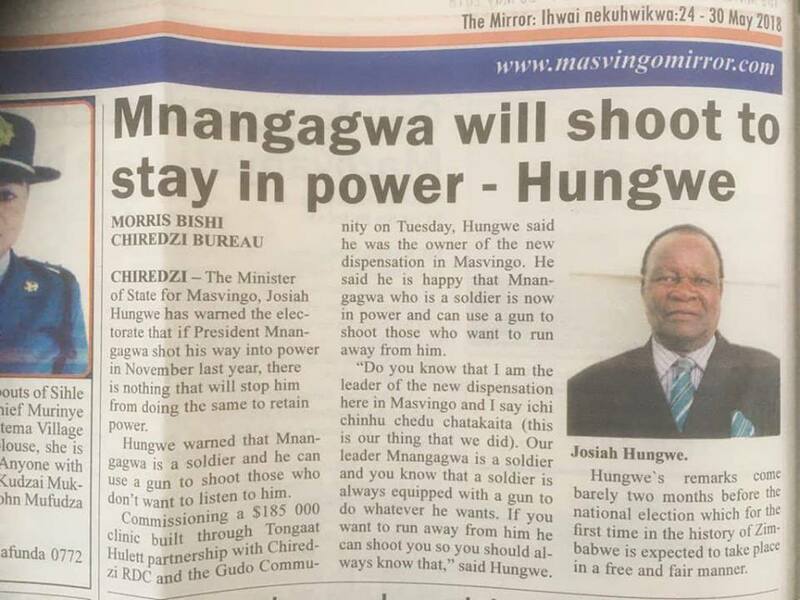 Our leader Mnangagwa is a soldier and you know that a soldier is always equipped with a gun to do whatever he wants. If you want to run away from him he can shoot you so you should always know that. You cannot make a story out of it. It is not fair because I was not there when what you are reminding me was allegedly said, it is your creation so look for other people to talk to not me.